Other Notes: Prices vary based on factors such as the type of function, level of catering required, time of the year and total numbers. Seating Options: Banquet, Boardroom, Theatre, Cabaret, U-Shape. Standing capacity: 120 - the roofed courtyard area can also be utilised, to increase the capacity. Note - There is also open space suitable for a marquee with up to 400 people. Barwon Park Mansion in Winchelsea. 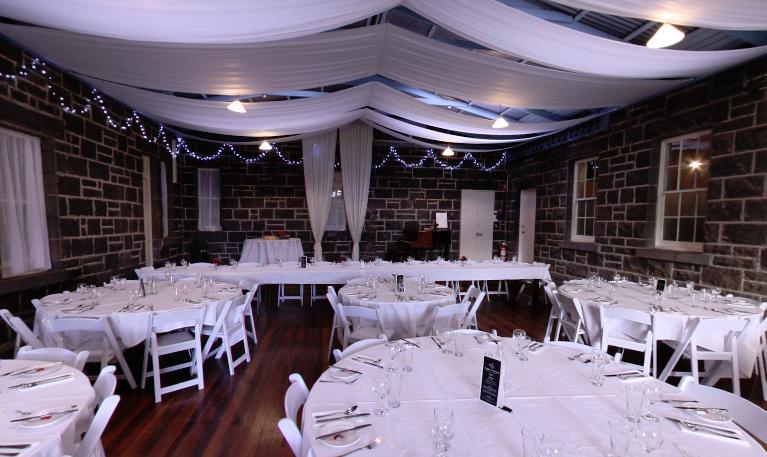 Venue hire available for weddings, conferences and functions. Please inquire below for more details from The RK GROUP, Geelong.